The technology has brought many changes to education. One of those changes is the ability to record lectures and class activities, digitally “capturing” them. Doing so allows the lectures and activities to be archived and reviewed later on by students and staff. Allows students to replay complex material, viewing as often as needed and on a variety of devices. Allows students to take courses held in overlapping time slots. Increases student engagement by placing more power in the student’s hands and freeing them to listen more carefully instead of frantically taking notes. Allows instructors save their lectures for unlimited archiving, use, and reuse. Extends instructors’ reach to new markets, letting them generate additional revenue without hiring or retaining adjuncts or additional staff to create and manage new courses. While lecture capture is considered new and high tech, it’s not brand new. A study conducted at the University of Wisconsin-Madison in 2008 examined student preferences regarding captured lectures. Close to 30,000 students were surveyed, and 82% of them preferred a course with recorded content. The Stanford School of Medicine found in a similar survey that student retention improved up to 78% in cases where lectures were captured, and made available online for review. Almost 76% of the students in this survey cited improvement in their exam scores when lectures were captured, and 60% expressed a willingness to pay extra fees in order to access captured lectures. The paper “Capturing lectures: No Brainer or Sticky Wicket?” addresses the issue pretty thoroughly, raising important points and asking solid questions. It’s worth a read for anyone grappling with these issues when it comes to their organization, institution, or courses. Lecture capture software is expensive, far out of reach of independent teachers and trainers. That is, unless you use WizIQ’s virtual classroom. This built-in feature allows any instructor to capture their lectures as they happen and then reuse, archive, and share the recording with anyone through just a link. Capture your audio and video of presentations and other class activities and let the students review whenever they want. Pause or resume recording at will. Once the session is complete, the recording automatically gets included in your course or class page. Provide public access to some recordings as a promotional tool, in order to attract new students. 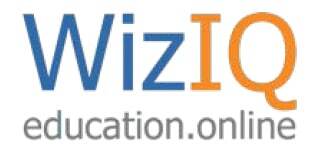 Integrate the WizIQ Virtual Classroom and recording access with your existing Moodle, Sakai, Joomla, eFront, Drupal, or WordPress or Blackboard LearnTM Building Block installation to provide single-click access to recordings. Automatically post recordings to internal class websites so they can be accessed at anytime, from anywhere. Avoid lots of training, downloads, and extra costs with our affordable, user-friendly tools. Teach classes in a live stream, with your recordings automatically archived and quickly available for viewing afterward. So what are you waiting for? Widen your reach and create your very own knowledge database. Capture, stream, archive and share!